Welcome to the Kickapoo Valley! 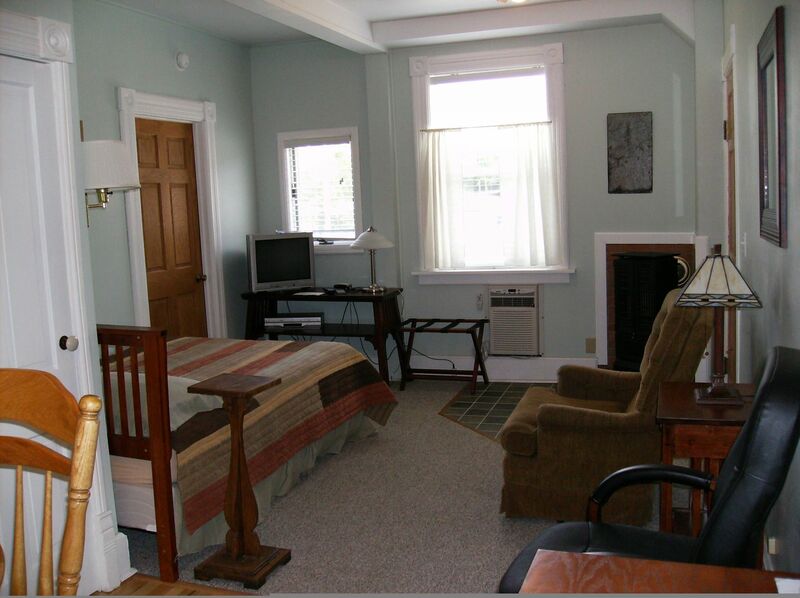 co-op merchant building, with a restored efficiency loft apartment, offers every modern convenience for your vacation or business trip comfort. 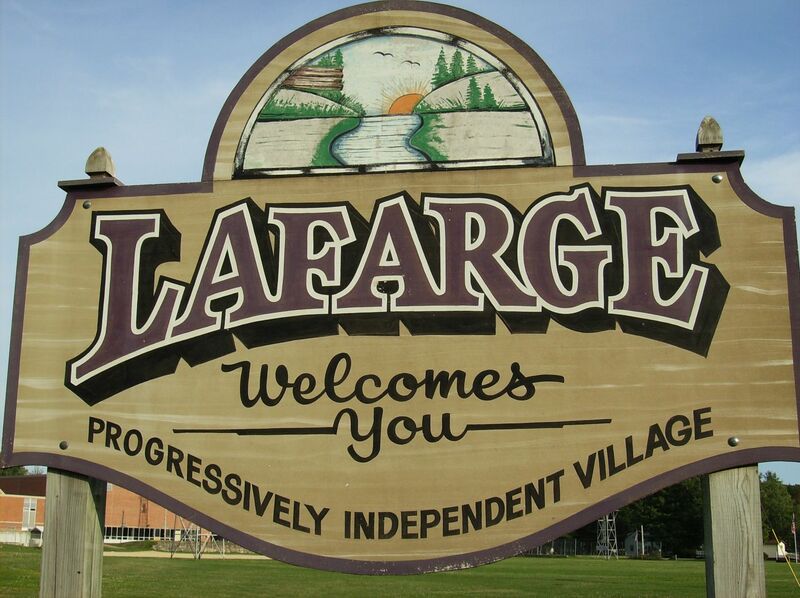 Quiet village setting facing Bean Park and close to LaFarge shops, restaurants and pubs. 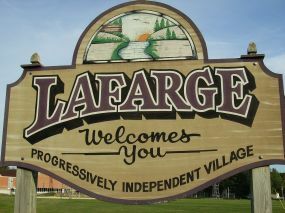 Only minutes from Organic Valley's headquarters, the Kickapoo Reserve, rustic back roads, and the scenic Kickapoo River. Enjoy your privacy in this centrally located village retreat. of a 4 star hotel in a rural village loft apartment. Furnished with a full kitchen, modern bath with shower, wireless internet connection, writing desk, cozy gas fireplace heater, air conditioning, FM radio, cable TV, and a deck facing Bean Park with a gas grill for your use. Sleeps two with a comfortable full size bed. 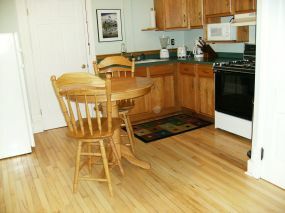 offers a microwave, blender, coffee-maker (with fresh Kickapoo Coffee beans and grinder), stove and refrigerator. 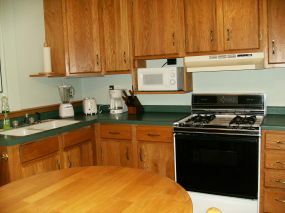 Inside the oak cabinets you'll find dishes, glasses, utensils and cookware. There's also a modern bathroom with shower and restored maple floor. 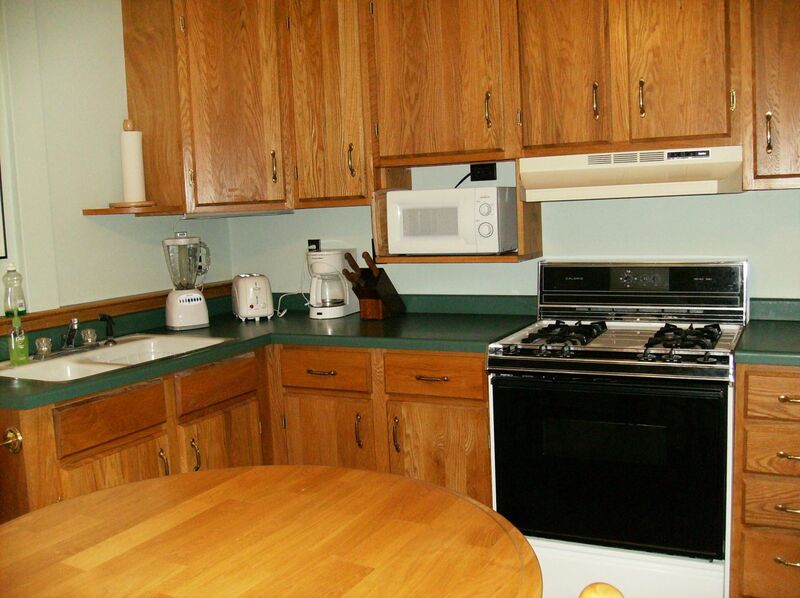 All linens for kitchen, bed and bath are provided. Your home away from home.